When tanks were first introduced into War Thunder, one of the most common questions players had was "Will environments be destructible?" We answered that they would be, but not right away. At that time, the development team had a whole range of more important and more complicated problems to solve. As time went on, the tank trees were expanded, the gameplay was improved and new maps were introduced. Now, finally, the time has come for the destructibility we promised you! In an upcoming major update, all players will be able to try out the destruction system with buildings in War Thunder for themselves. Previously, you may already have seen destructibility in the game: we gradually introduced it for all vegetation and later started working on destructibility for various small objects: fences, hedges, statues and so on. Now we’re introducing larger destructible objects to the game: wall fragments, ruins and entire buildings. So, we’re already within a hair’s breadth of creating a system of complete destructibility in War Thunder. The new destructibility system for large objects is provided by the NVIDIA GameWorks Destruction system, which “slices” objects when a shell hits them. Each piece of the object falls according to the laws of physics. At the same time, the technology allows us to configure the graphical display of destruction so that the effects look good without overloading the system. 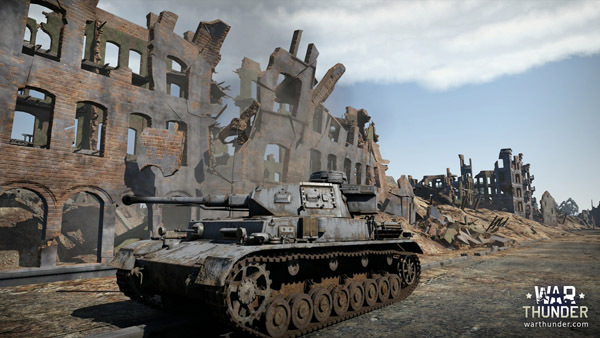 Building destructibility will come to the game gradually: the first map to receive it will be Berlin, after which the developers will start redesigning the other tank maps. 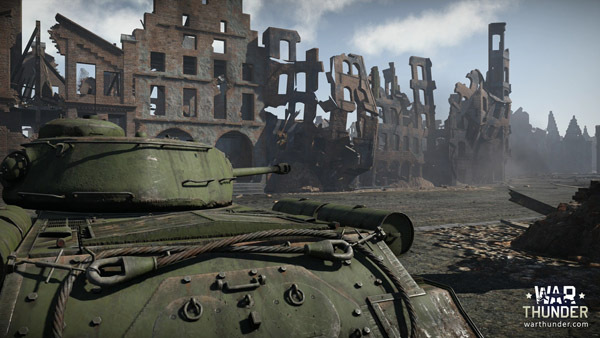 This new introduction is designed not only to make the game more realistic, but to greatly add to variety in gameplay: for example, in short-range battles in urban conditions, it will be possible to take down a wall with a tank shell and immediately aim the second shell at the enemy caught unawares behind the wall (this will be particularly easy if your tank has several guns). In the future, destructible buildings will be introduced to all the maps in the game. New maps will be created with structures that can be damaged and destroyed by a direct hit. See you in War Thunder tank battles! And be careful: use destructibility against enemies and don’t let your enemies use it against you!